May 2014 - Read. Think. Act. (May 16, 2014) The Bishop Walker School for Boys in SE Washington, DC, hosted their annual “Family & Friends Day.” This is an opportunity for the boys to show what they’ve learned in their music program through live performances. Music and art are an important part of the curriculum of this tuition free school for boys from low-income families. I LOVED this book! 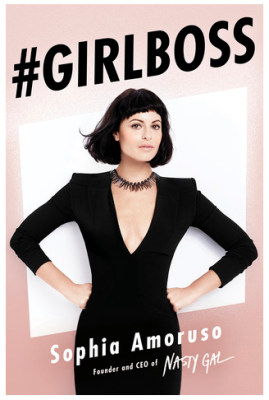 Sophia Amoruso has a wonderful life story to tell – a fascinating journey for someone who is just 30 years old, a high school dropout and the CEO of her own multimillion dollar online fashion business called Nasty Gal. She started her business on MySpace selling vintage clothing back in 2006, then moved to Ebay, then to her own website. She now employs over 300 people and her annual revenues are well over $100 million dollars. I thoroughly enjoyed the book as both a coming of age story and as a business book. This is a millennial who is showing us a future that others can have. She did it without a lot of what many of us believe is essential to being successful in business. Reading this on the heels of “The Innovator’s DNA” and “The Confidence Code,” I can see how this came together the way it did. Or rather, I can see how Sophia pulled it all together. A thought I loved from the book: “Clothing is ultimately the suit of armor in which we battle the world. . . Owning your style, however, is much more about your attitude than it is about what’s on your back.” Amen, sister! (May 13, 2014) I think this is singularly one of the most important books written in the last several years. Journalists Katty Kay and Claire Shipman have done an amazing job in both researching this subject and writing about it in a thoughtful and productive way. 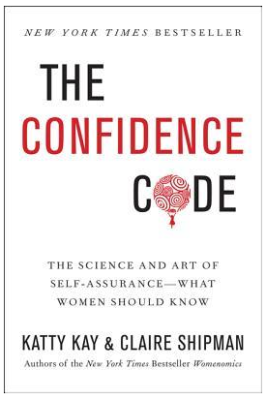 The Atlantic’s May 2014 cover story entitled “The Confidence Gap” is a great in-depth article based on the research done for this book. 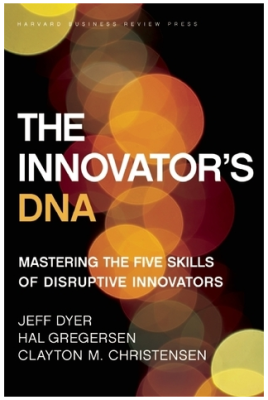 (May 2, 2014) A collaborative effort by Jeffrey Dyer, Hal B. Gregersen and Clayton M. Christensen. The book is really good and I loved the concepts and the examples they use. I felt it was longer than it needed to be. The basic concept of “the innovator’s DNA” is that people engage in certain types of specific behaviors that impact how well they are able to innovate. Those behaviors are Associating, Questioning, Observing, Networking and Experimenting. In using Associational Thinking (Associating), the authors posit that innovation breakthroughs happen at the intersection of diverse disciplines and fields. It’s also called the Medici Effect. I have experienced that firsthand and know the value of having diverse interests, friends and talking with everyone no matter what it is they do. I believe in the power of community and the ability of one person to make a difference.